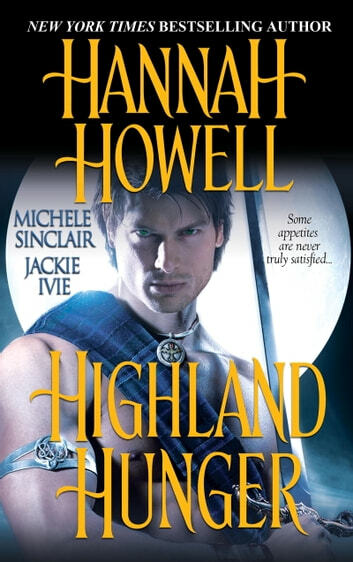 Hidden in the shadowy caves and caverns of the Scottish Highlands, secret vampire clans wage dark battles both deadly and passionate. . . 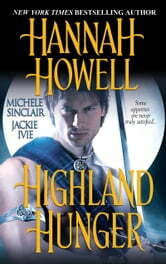 While searching for his clan's demon Lost Ones, Raibeart MacNachton encounters an ethereal beauty running for her life. The decision to play hero is easy; fighting the urge to ravish the enchanting Una Dunn is more difficult--especially when Raibeart learns they share a powerful connection. The immortal Dorian vows never to fall in love with a mere human--until he meets the beguiling, arousing, Moirae Deincourt. She stirs a longing in Dorian that he dares not quench. But when Moirae's life is put in danger, her true nature is revealed--and the lust that rages between them can no longer be controlled. . .
Vampire Iain Duncan MacAvee has stepped forward to claim the woman he betrothed years ago--only to learn that the tempting Lady Tira knows nothing of the engagement. Though Tira feigns disinterest, the Duke's animal-like charisma has unleashed her most carnal desires--a hunger only Iain can satisfy. . .